Sykes played sports non-stop as a kid growing up in Indianola, Mississippi, with one season rolling into another. He was a four-sport star at Indianola Academy, earning all-state honors in football, basketball, baseball and track. When he graduated, he held the school record in the pole vault at 14 feet, 11 inches, and the former running back also was the school record holder for most carries and yards gained in a career. He headed to Mississippi State with the intention of competing for the track team, “But I quit before it ever got going,” he said. “I became a student.” Sykes, who graduated from college with a marketing degree, spent 13 years coaching high school football and baseball at Heritage Academy in Columbus, Mississippi. Sykes was also co-director of technology for the school, “I was only one of a few people on campus who knew a little bit about computers.” Sykes left Heritage Academy in 2013, but his “retirement” was short lived. 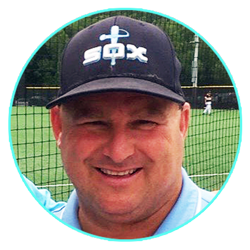 A chance meeting with Joe Caruso (Sykes’ son, Hunter, played against a Caruso-coached team) led to the formation of the East Coast Sox Baseball organization with Caruso and fellow co-founder Eric Dubose. The Christian-based East Coast Sox are based out of Mississippi but draw players from throughout the south. The organization, which had about 90 players its first year, had 360 participants this summer. Sykes’ marketing and technology background made him a natural to manage the organization’s technology needs. 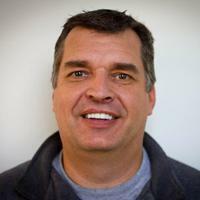 He chose the SportsEngine platform this summer, and the new East Coast Sox site launched in early September. He said he spent about two weeks, at five to six hours a day, posting and organizing content from the old site. One of those projects was building bio pages for all four of organization’s directors, listing the impressive athletic accomplishments for each. Sykes used the table element to list college committments, posting each graduating year (the listing includes all players who have worked with any of the East Coast Sox directors) dating back to 2009. Sykes already has posted the East Coast Sox summer tournament schedule for 2017. The table element includes dates, name of the events and locations. Sykes added HTML coding to the table, linking most of the event names to their home pages.